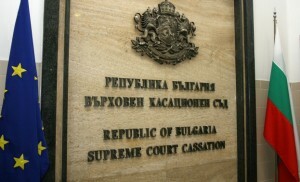 Following the 2003-2008 property rush, many Brits and Irish have bought properties in Bulgaria through limited companies. Some investors were in their retirement age, hoping to get their last years spent in new Bulgarian home. Due to complicated parent-children relations, in case of death of the company owner (or shareholder), the lawful heirs often couldn’t find the property or even company details. Sometimes, a further problem is the complicated shares structure of the company. I have written a small article about how to deal with inherited Bulgarian limited companies published by the British Embassy in Bulgaria in their legal FAQ document. Does a limited liability company need explicit decision by its General Meeting so that it can dispose real estate or associated limited property right, owned by the company. Do provisions of art. 38, para. 1 COA apply in commercial transactions, signed by a person, who is representative of the two or more contracting companies. The decision’s part which is of bigger interest for this article is the first question above. As from this moment on, the notaries in Bulgaria should no longer require General Meeting decision when a company sells/buys real estate property in Bulgaria. If your notary requires so, he’s probably not aware of the said Supreme Court statutory interpretation decision. Let’s take as an example a quite common case which appears recently. The parents (partners) have bought a property though a limited company. They have subscribed for company shares in 50/50 ratio. Nobody told the company owners that they should re-register the company by end of 2011, so now the company is subject to compulsory liquidation. The case complicates further when one of the shareholders have passed away. The only way now to save the property is to legally liquidate the company and obtain the ownership though the liquidation process. We are even dealing with much more complicated case now, where one of the company owners is deceased and his partner (both in personal life and business) couldn’t be found anywhere. If we were to follow the old controversial notary/court practice, we would struggle since there’s no one to decide on company General Meeting (deceased or missing shareholders), that the property will be transferred to the lawful heirs. We needed to go though complicated legal hoops so that we find a way to solve the legal matter. Now with this new interpretation decision, it’s simply a matter of the liquidator signing the deed and the property will be transferred to the lawful heir. Of course I’m referring to the much complicated cases above. In most common case – sale or purchase of property through a company – the company director’s signature will be enough.